Does word faith teaching have the message of salvation? How important is doctrine? Today many ignore what is written and use it only as a principle or example and reshape the Word to their own revelation, what they want it to say. God the Father sent the Son of God to earth to become man whose main purpose was to die for our sins. Many in the word faith movement do not believe Jesus was deity on earth; instead He left His deity when He became man. They also teach that Jesus suffered every sin that mankind did, on the cross and then became a sinner to suffer in hell for our salvation. That he was born again in Hell to redeem us. Is the word faith gospel the same Gospel given in the Bible? No, It is not. 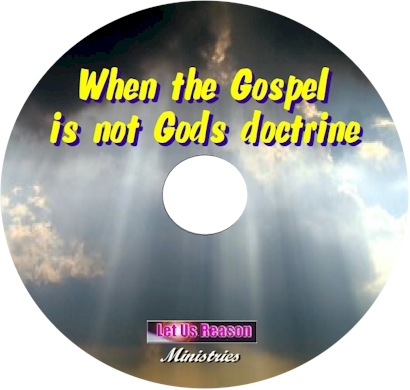 This DVD focuses on the points in the word faith movement of who Jesus is and how he redeemed us. We show the main promoters of this hideous doctrine. With PP and many audio and video clips we show by their own words they have a different gospel and defend their view as if it is the Bibles. We would like to hear from you. Please send us an e-mail and let us know how we can be of any help. Our time is just as valuable as yours. Please keep in mind, that we only have time to answer sincere inquiries. We will use discretion in answering any letters.